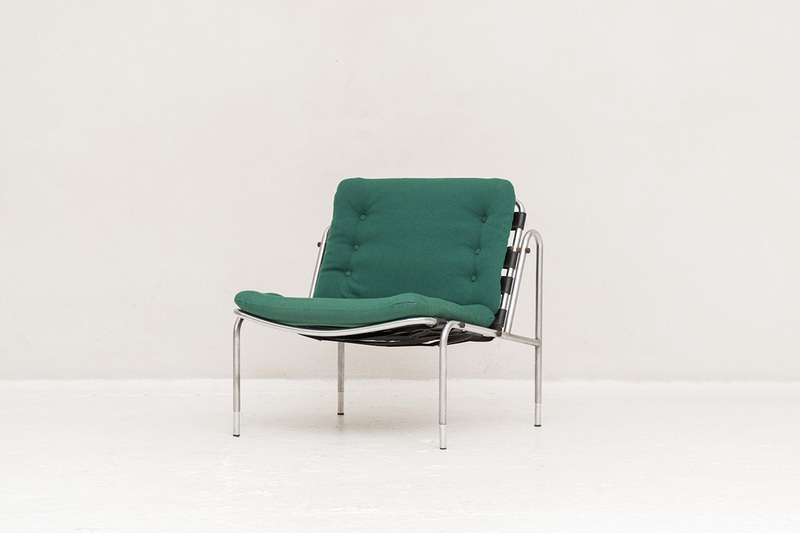 Designed on the occasion of the Expo Osaka 1970. 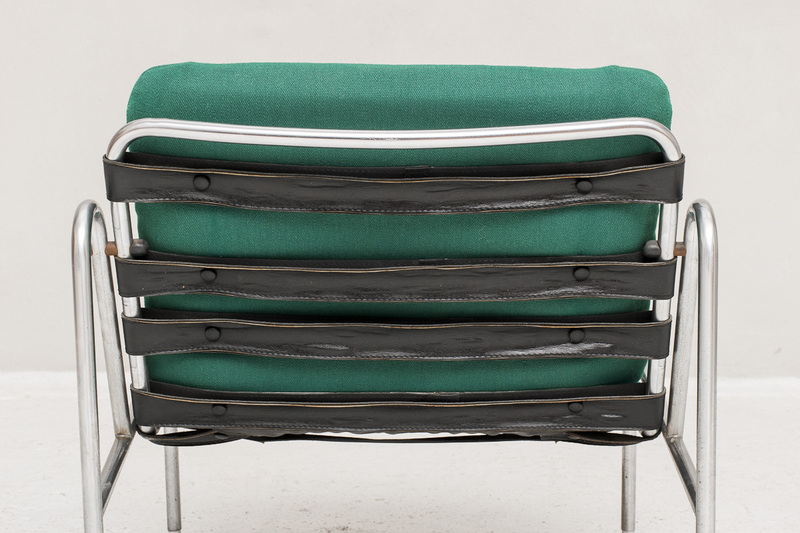 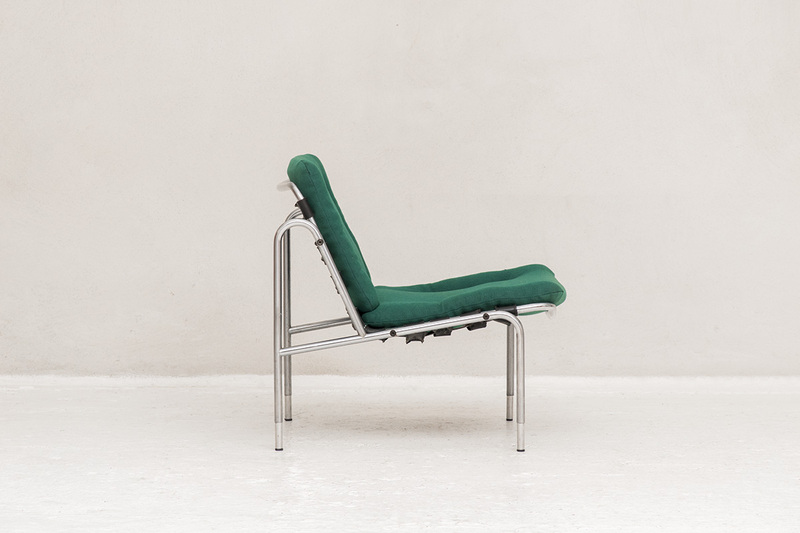 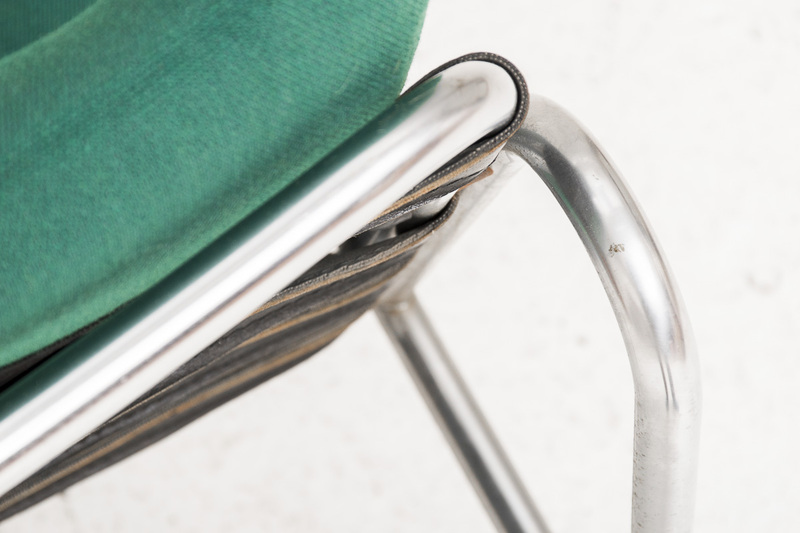 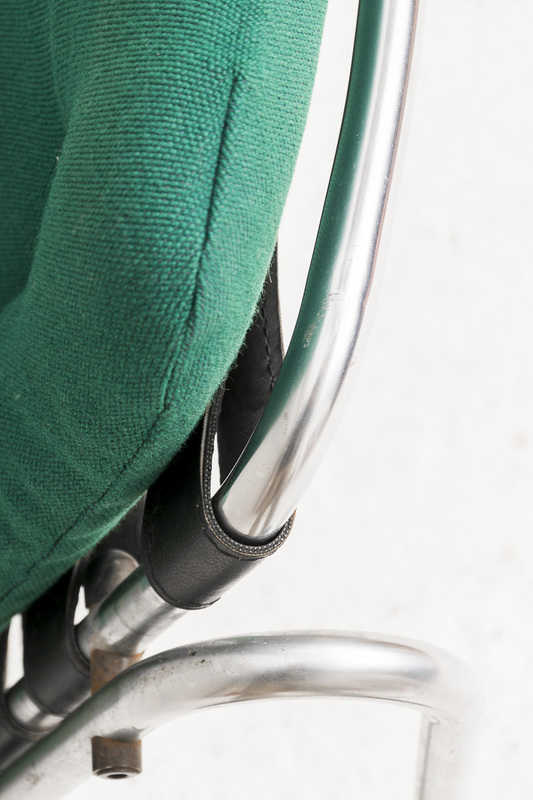 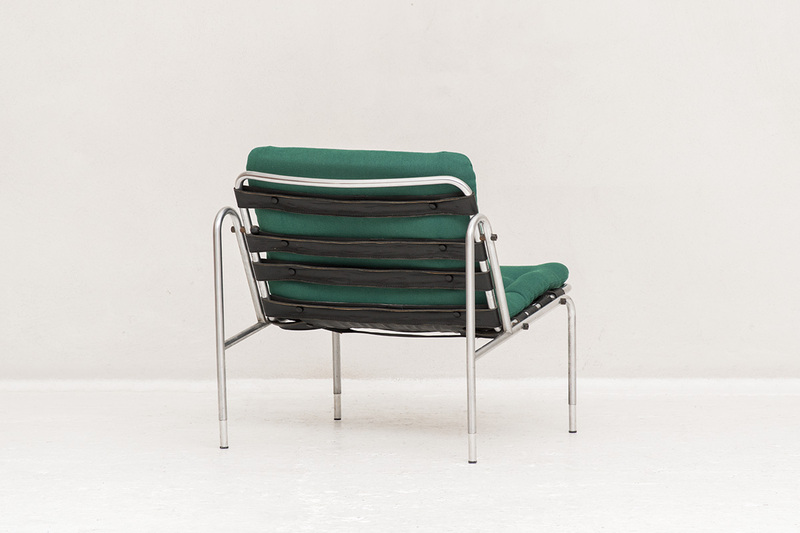 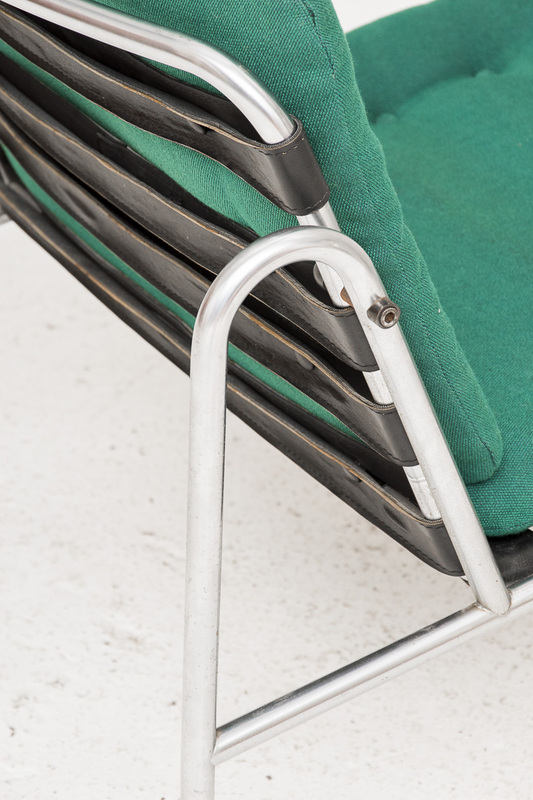 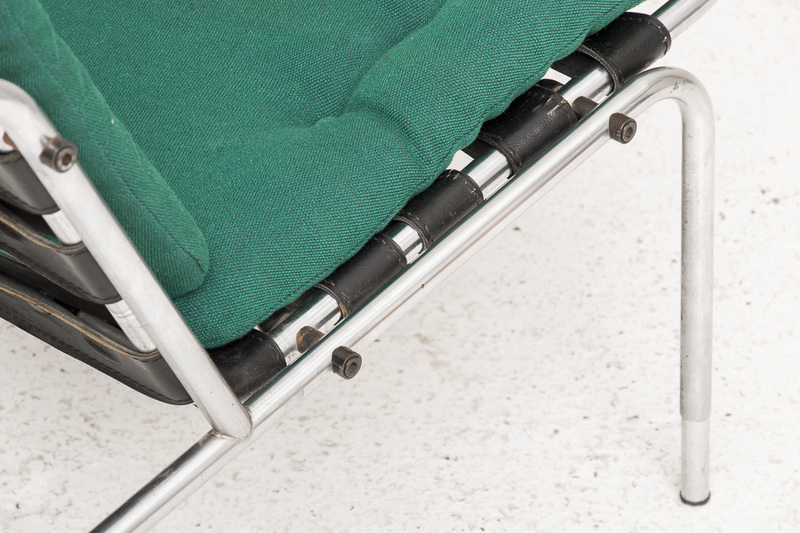 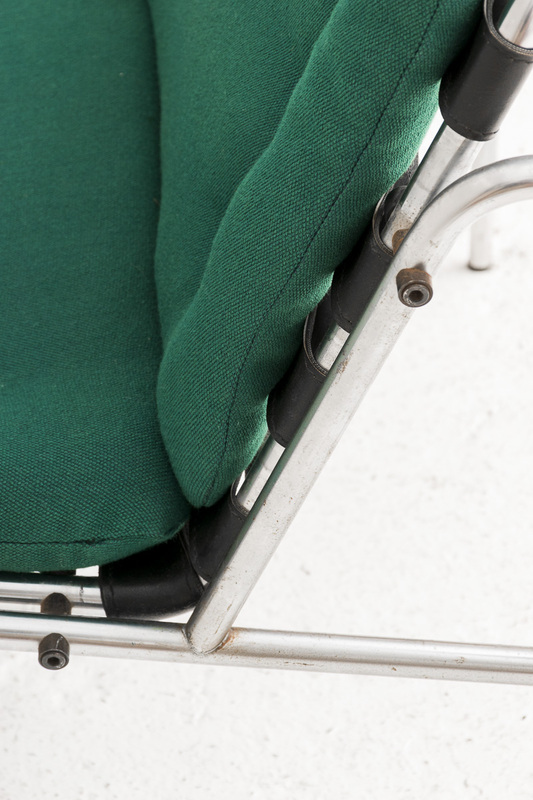 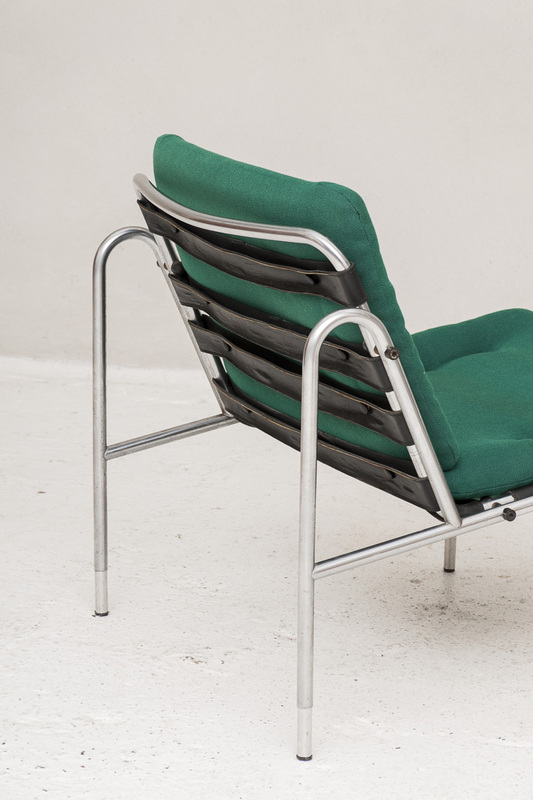 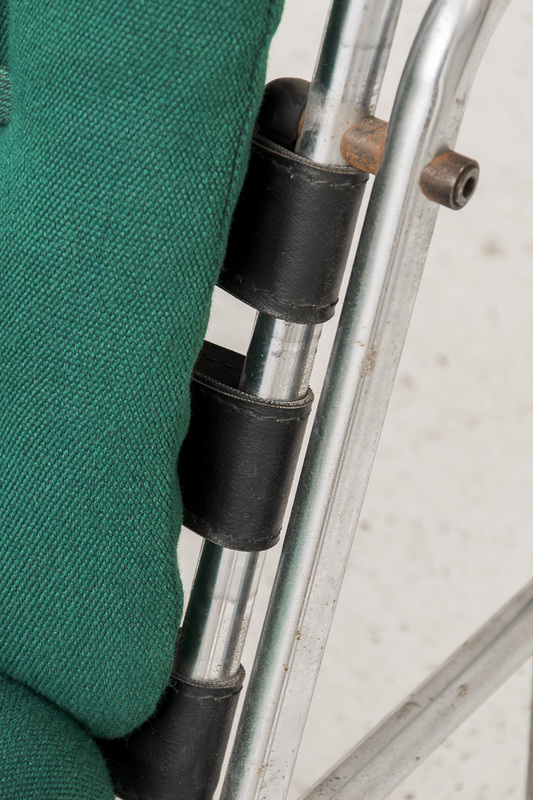 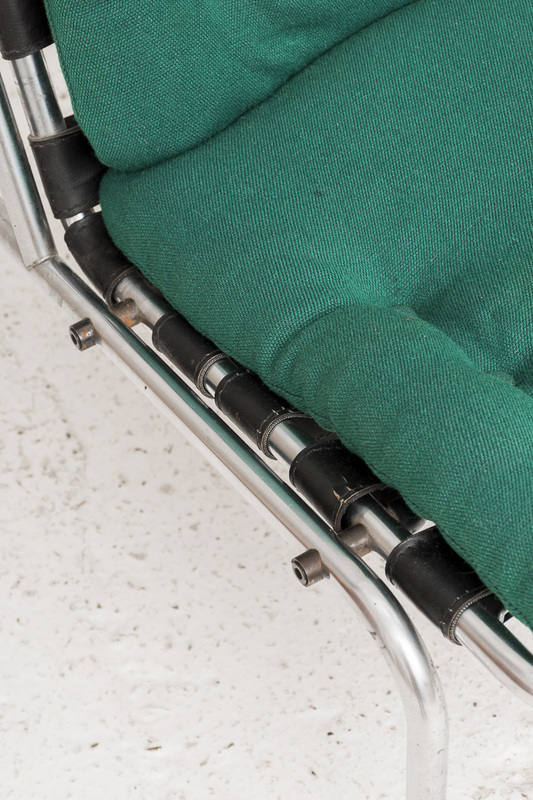 Good condition, chrome plated tubular steel with stylish emerald green upholstery. 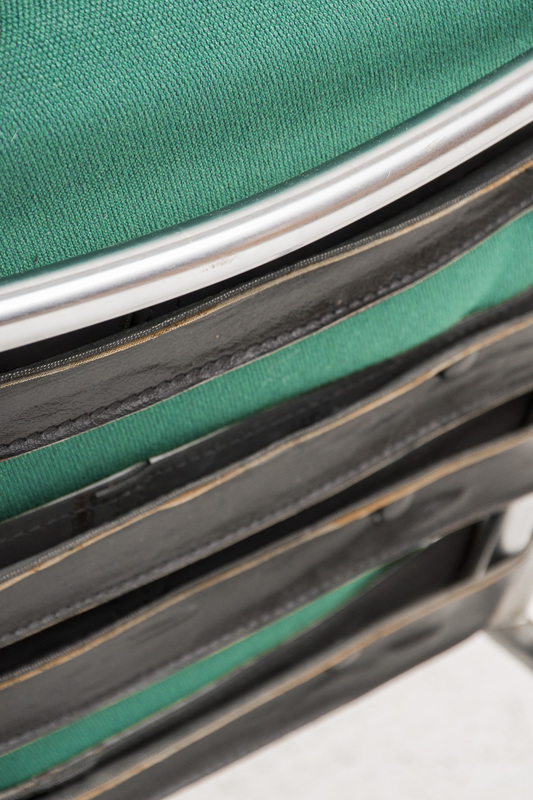 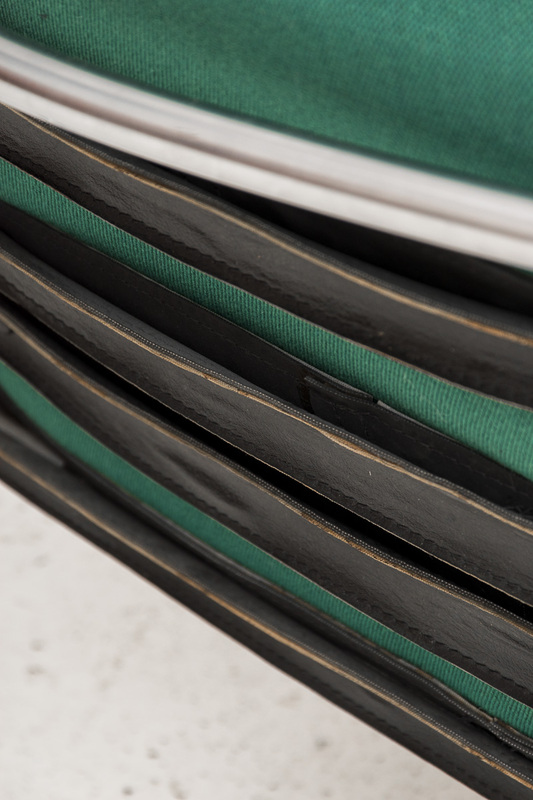 Slight wear and tear of usage on the leather backstraps and metal joints as seen in the pictures.